The Undergraduate Laws Programme has a proud history of running revision courses across the world in the countries where our students live. Earlier this month, leading academics from the UK, many of whom teach at colleges of the University of London, gave lectures to our students at a number of Regional Revision Courses. 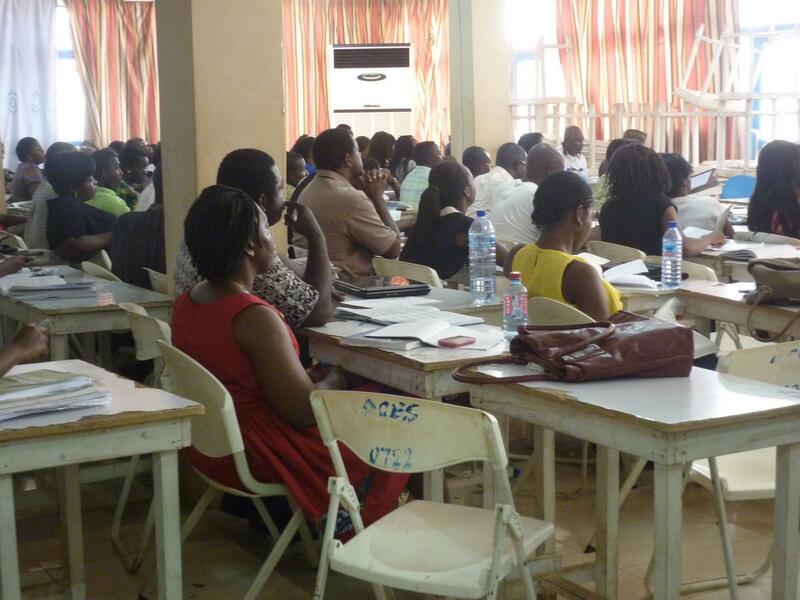 Ghana: In total, over 300 students attended courses in Criminal Law, Elements of the Law of Contract, CLRI, Law of Tort and Land Law. 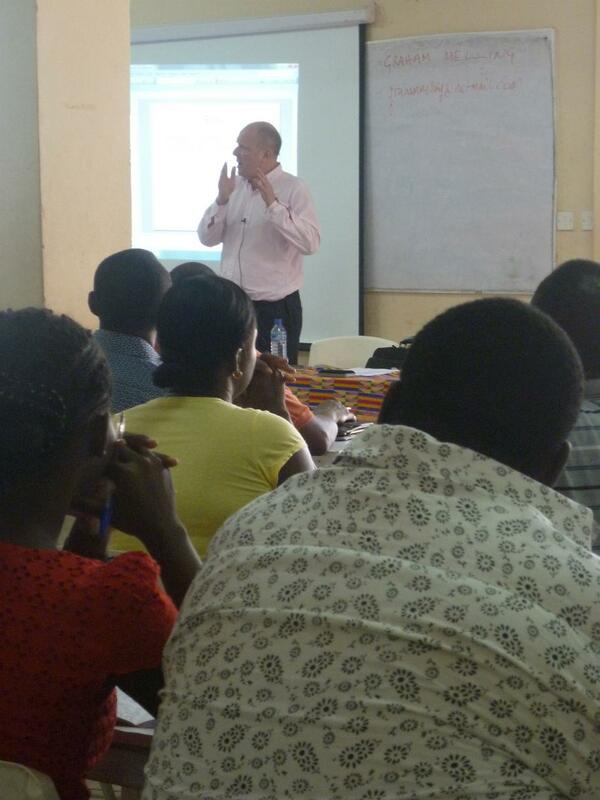 The evening before these courses began, Professor William Wilson gave a lecture on ‘Preparation for crime: some thoughts on a just and effective scheme of liability,’ at the British Council. Many of our students attended this lecture as well as the revision courses. The revision sessions held at Zenith University College, were also attended by students who normally study independently or at the neighbouring institution Empire Africa. As well as enjoying formal lectures and tutorials, students also had the opportunity to interact with peers as well as University of London staff. 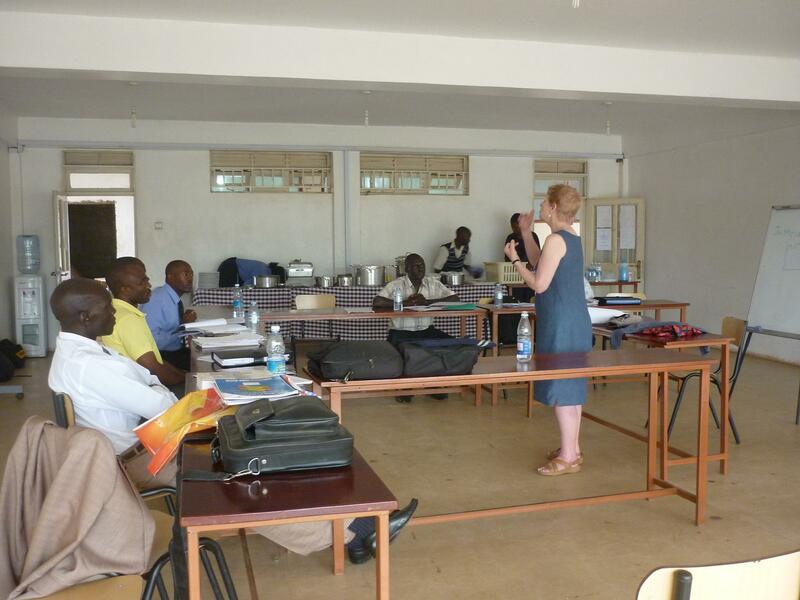 Uganda: The Uganda Regional Revision sessions took place on just one day, Wednesday 10 April, at Multitech College, Kampala. Students from as far as Sudan attended sessions covering Criminal Law, Elements of the Law of Contract, CLRI, Public Law and Law of Tort. Bangladesh: The Bangladesh Regional Revision courses continue to prove extremely popular. In total, over 400 students were registered to attend lectures in all Intermediate Courses, Law of Tort, Law of Trusts, Land Law, Jurisprudence and EU Law. Regardless of the current unrest in Bangladesh, students still turned out in large numbers. Academics from across the sessions said that all students were well prepared for their lectures. Students were able to discuss exam preparation and technique, and make useful connections – we are pleased to learn that a number of students have set up their own small study groups to support each other along their journey. Popularity of the Regional Revision courses continues to grow and we thank all students who took the time, made the effort and in some cases travelled great distances to attend! We hope you found the sessions engaging and rewarding, and that you picked up some useful tips as we head towards the exam period. Audio recordings from some of the courses above will be available on the VLE shortly. Emails will be sent out when the content is made available for each course.